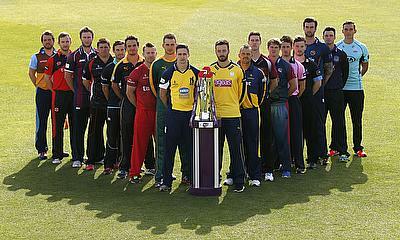 Sussex Cricket have urged the England and Wales Cricket Board (ECB) to ensure the interest of the counties are not affected by the introduction of the new T20 competition that might roll out in 2020. The new tournament has been drafted similar to the Indian Premier League and Big Bash League formats and will have a team each from eight cities and for the first time in 130 years, the 18 first-class counties are excluded. Each county would receive a financial inducement of 1.3 million pounds ($1.63 million) annually for five years for supporting a change in ECB constitution that says any competition introduced by the board must be open to all. Earlier, England skipper Eoin Morgan also backed the new T20 tournament to be successful without impacting the county cricket. Releasing a statement on the issue, Sussex said they are backing the England board on the new proposed competition but will need more clarification on future of the Specsavers County Championship and the schedule of the new tournament not affecting either the Championship or Natwest T20 Blast. Sussex Cricket CEO Rob Andrew said the club has been in constant touch with ECB since September last year and is hoping that new competition will be successful without affecting the regular members of the board. “This is a very important time for the long term future of English cricket. There are significant opportunities to appeal to a wider audience and the next generation of boys and girls and to inspire a lifelong passion for cricket. “The future of the First-Class County structure and its critical role in the development of cricket must also be protected and enhanced by providing financial sustainability over the long term.